Thanks to its unique flavor from a special extraction, cold brewed coffee has gained a popularity among many cafes all over the country. But it is quite easy and affordable to make cold brew on your own at home. That’s why many companies have created specialty coffee makers for home users for easy cold brewing. To help you make an informed decision, we’ve compiled a list of top best cold brew coffee makers you can buy this year. Let’s check it out! Not only does it offers one of the most delicious brews, but it is also very easy to set up and use. It comes with a durable construction that is simple to store and clean for later use. Another special feature of this model is that that is totally air-tight while brewing, which allows the users to store the brewer easily on the side in a packed refrigerator. 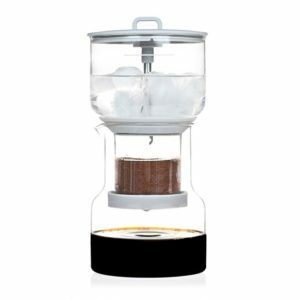 The Cold Bruer drip cold brew coffee maker is a unique and beautiful model on the market. It is very mesmerizing to watch it brews, and this is the only cold brewer model that yields the coffee which is ready to drink. OXO is one of the most trusted names in the industry for household appliances with user-friendly, durable, and affordable products. Just like both models reviewed above, this unit is very easy to set up, use and also takes up less space on the counter when in use. The OXO brewer can deliver smooth and low-acid coffee in only a few simple steps. Established in 1964, Toddy is always one of the most popular choices of many coffee-lovers. 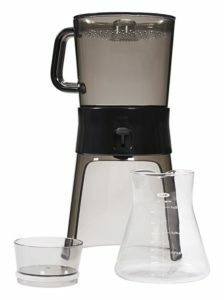 By extracting the bitter oils and acids that other brewing machines often leave behind, this Toddy Cold brew coffee maker is able to create a low-acid and smooth concentrate. The last product on this list is a high-quality and durable coffee brewer from Filtron. Quite similar to a Toddy machine, this model is designed with a thick filter and large reservoir so that the grounds can steep. Also best for loose-leaf tea, the Airtight Cold Brew Iced Coffee Maker is highly rated among Amazon.com customers. You can save a lot of money by having this to make your own cold brew coffee. Overall, it’s easy to use for having delicious coffee. 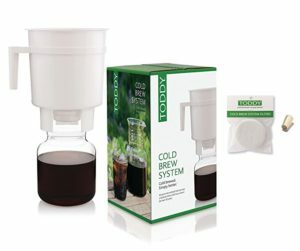 One of the best cold brew coffee makers on the market, the Toddy Cold Brew System won’t disappoint with its price tag (comparing to the OXO brand), it’s also easy to clean and maintain. The BPA-free is essential for all coffee maker. If you drink iced coffee everyday, the Dash Rapid is the best for that. Comparing to Cuisinart, this product performs way better. After you can adjust the amount the ground, you’ll perfect your cold brew with this maker at home. Good price for the product value. If it’s your first time buying a cold brew coffee maker, we highly recommend this. Last on the list is Hamilton Beach, which you should use with extra care. It’s quite fragile than others we featured in this review. 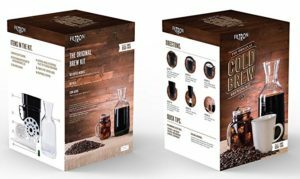 We read, researched, ranked, and reviewed the top rated makers for cold brew coffee to help most people find the best product for their home use. Price points and features are two main factors we include when comparing these cold brew coffee makers. Durability and functionality are also essential. Do you want the best iced coffee? Buy of the makers from this list! Cold brew might strike your fancy. 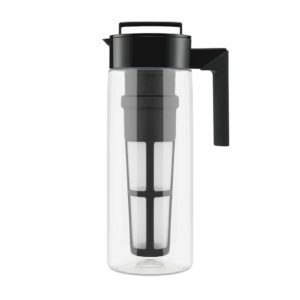 A cold brewing technique can give you a crisp, low-acid, energizing cup of coffee.